Restoring your past Improving your future! 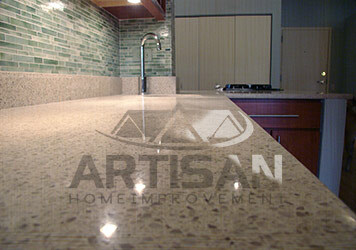 Chicago Artisan creates exceptional value in your homes, we improve the quality of your life. We are a local home improvement contractor serving the Chicago and Northwest Suburbs. We have built our business in the local market over the last 15 years and are still going strong. Our reputation has been built on hard work, professionalism, and customer satisfaction. We can’t wait to prove you. From kitchen and baths to floors and fireplaces, Ikea cabinets and custom cabinets, quartz countertops to granite tops we are a full service home improvement contractor. We have it all for a Chicago contractor. Our high business ethics and moral values are the basis of the way we do business. Our reputation has been built on hard work, professionalism, and customer satisfaction. At Artisan Home Improvement we take the time to value our customers. We as contractor sit down and identify exactly what the goals are for each project we undertake. Only then we can formulate a successful plan of action. As a contractor we are committed to a systematic approach to success. As a reputable contractor we show up on time and on budget and we go the extra mile to meet or exceed expectations. Chicago Artisan is an award-winning company with a reputation for consistent quality at the highest level of details. Follow our reviews on our website and on social media.